Dragon Knight III is an adult RPG developed by Elf Co. originally released in Japan for the PC98 in 1991. It was published in the USA by MegaTech Software for DOS PCs in 1994. 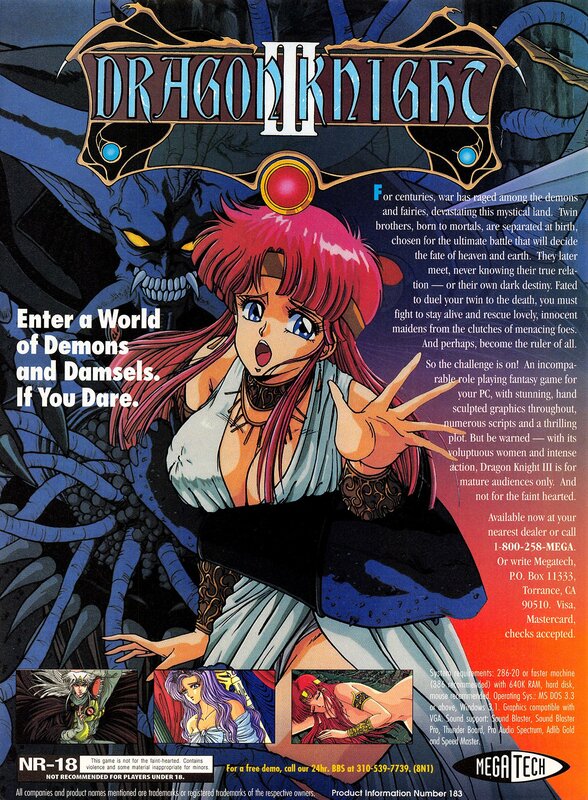 Although this ad (from 1993) uses the original Japanese title, by the time of its release, MegaTech had changed the title to Knights of Xentar, presumably to avoid confusion since the previous two Dragon Knight games had only been released in Japan.